It's been a great year at Art is Basic. 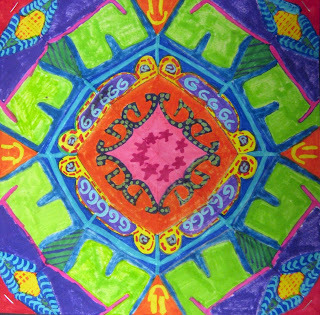 We've made tons of colorful art and expanded our skills. My blog now has over 300 followers, which is super cool and way more than I ever thought would look at this blog. I've gotten tons of new ideas from Pinterest this year which I highly recommend if you haven't checked it out yet. Here is a year-end roundup of some of my most viewed blog posts. This has always been the number one page visited. 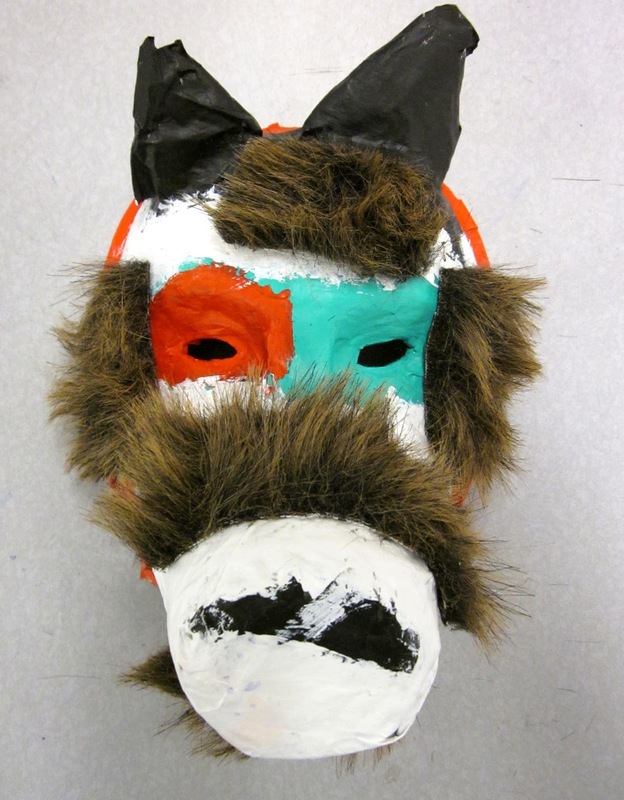 So many great art teacher blogs have been added to this list. Add yours too, if you haven't already! And here are a few of MY personal favorites from this year! Hope you all have a Happy Artful New Year!! 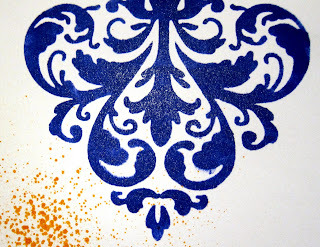 I love the look of stencils, but since I have a toddler I like the process to be easy and quick to clean up. I need to be ready to switch gears at a moments notice :) I've tried using spray inks for the stencils and paints, but this way I just tried seems to be an easy and neat way to make stencil prints. 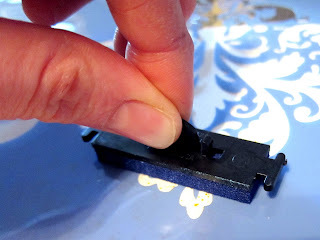 Use rubber stamp ink pads. I love this Color Box set with a rainbow of colors. Each section can be removed. Place your stencil on your paper. Hold with one hand tightly, or tape in place. 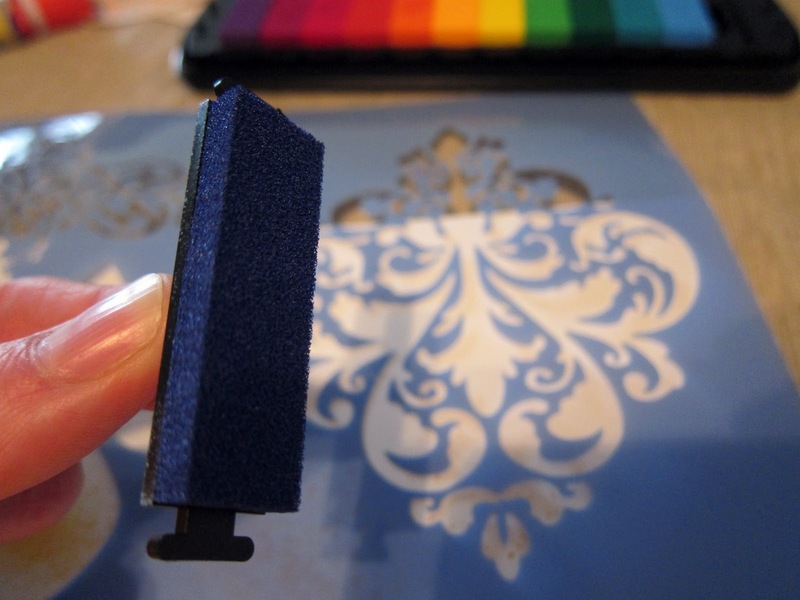 Then dab the rubber stamp ink pad up and down on the stencil. You can twist and turn the ink pad gently as well. Finished stencil print. 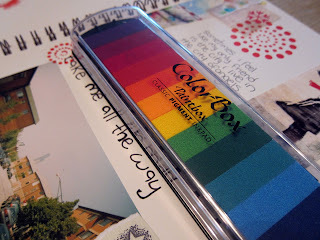 The colors are vibrant and the image has good coverage. Juan Miro is one of my favorite artists. I used artwork by Miro to help the kids learn the difference between abstract and realistic art. 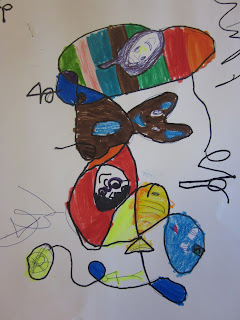 The kids analyzed his artwork and we categorized prints. Then, they drew a squiggly line with their eyes closed. Then they turned their paper around to view it from many angles. 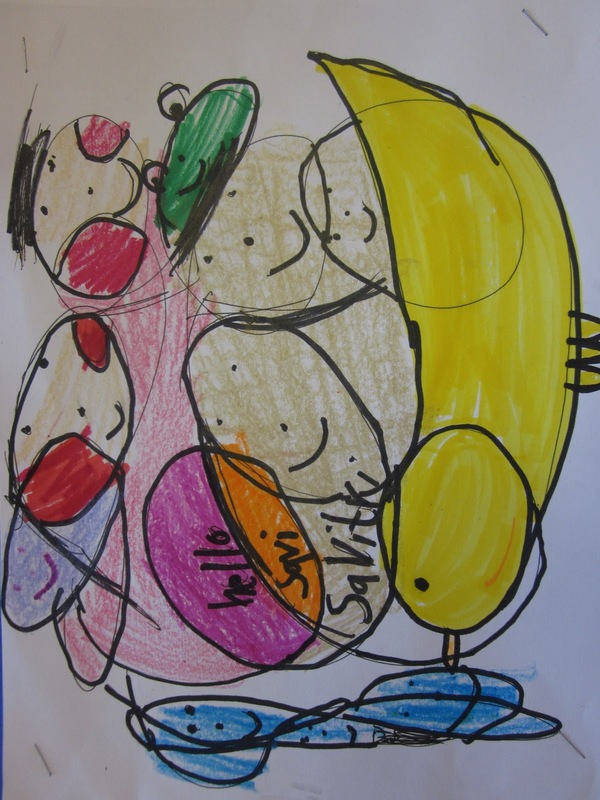 The kids tried to find different things in their picture.. faces, hands, animals, etc. They could add details to their drawing. Some added words. Then, they colored these in with markers or crayons. These charming pictures of hands were a lesson on warm and cool colors. The hands are colored in cool colors and the heart is colored in warm colors. 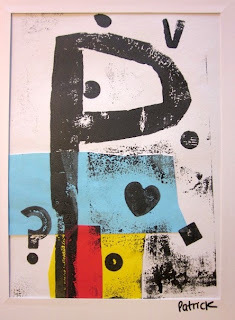 Over the summer I tested out several ways to make bubble prints. I experimented and discovered they way that works best for me. I decided to do bubble printing with some students this week, because it is the week before break and I wanted something fun and out-of-the-ordinary to do with them. So apparently bubbles are out of season right now. I went to Hobby Lobby however, and found this pack of 24 small party bubbles. Pop off the top and if the bottle is really full, you will need to pour out a small bit so there is room for the dye. 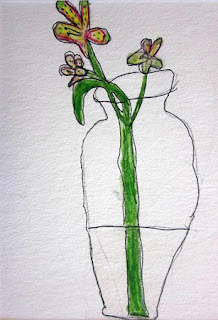 Then, drop in a few drops of food coloring or liquid watercolor (both work). Then, add a little bit of dishwashing soap to make it more bubbly. Then blow the bubbles with the wand like you normally would. Let the bubbles drop on the paper. 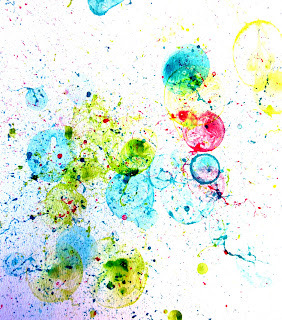 The ones that turn out really well are the bubbles that land on the paper, sit there for a little while and then pop. The extra splatters look really cool too! Affiliate Link: I love these toys for young kids! These traditional snowflake paper cuts are so simple, yet so fun. 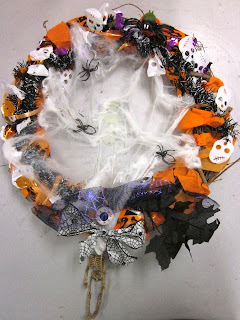 I know other art teacher bloggers have posted them recently too. Here are some we made this week. 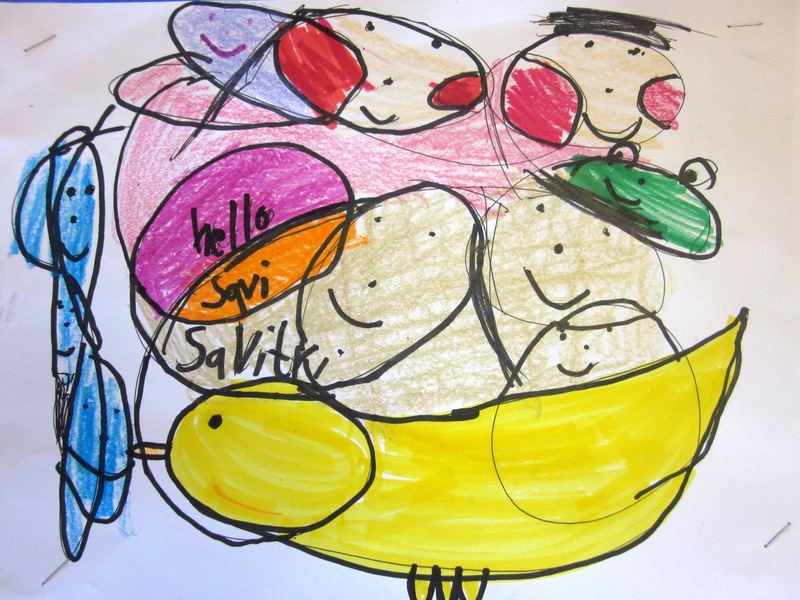 These were some pictures we made today with the third graders. 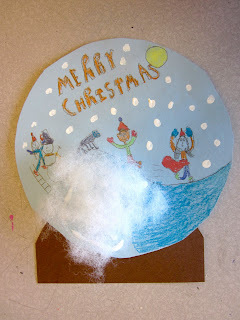 The kids used markers and construction paper crayons to draw their snow scene on the globe. Then they added white paint dots for snow. Some glued on white fluff as well. The third/fourth grade classes made paper mache masks. We used inspiration from the Pacific Northwest Coast masks and viewed a video about their culture. Here are the steps we used. 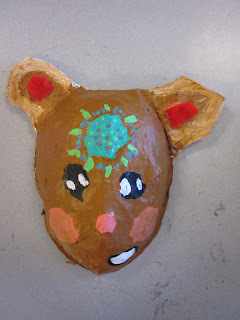 Start with a papermache mask form (we used some from Nasco). 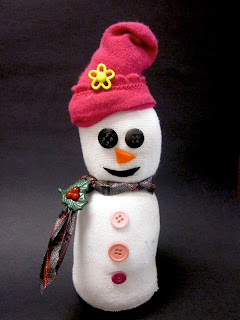 Then, add appendages with newspapers, LOTS of masking tape, pieces of cardboard, yogurt containers, etc. So much fun to build up a mask! After all the parts are very secured with tape (and I mean lots of tape, MORE is better for this project), then add pieces of newspaper strips dipped in paper mache. We used powdered Elmer's Art Paste. Lots of paper mache. The kids made sure to cover their mask with one or two layers. ewww.. it's so goopy! Some of the kids used plastic gloves because they did not like the feel of it.